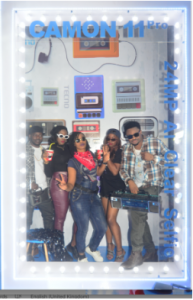 The highly anticipated Club MTV Base took place at Quilox Night Club, VI on December 8 2018 and Africa’s largest smartphone manufacturer, TECNO Mobile was on ground to make it a memorable night for guests. 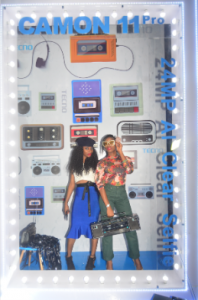 Hosted by MTV Base, the successful party tagged ‘Back to the 90s’ was attended by over 200 party goers who got to enjoy the specially curated activities that made up the night. From the bustling red carpet to the busy Coca Cola bar to pick their choice of sweet or sour cocktails, guests had a good time mixing and taking pictures with celebrities. 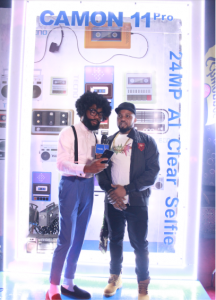 Revellers were then ushered to the TECNO’s amazing 90’s themed photo booth which was the cynosure of all eyes, where they had the opportunity to take pictures and experience the amazing selfie quality of the Camon 11 Pro, TECNO’s newly released smartphone with embedded AI technology. Club MTV base was the perfect way for fans of the music channel to begin the 2018 festive season as they were thrilled by DJ Colex and host of MTV Base DJ Takeover, DJ TTB, who had his visual mix of thrilling songs from the 90s featured during the night for all who attended to truly have a great time. It was a truly fun evening. Everyone looked forward to owning the TECNO Camon 11 Pro for use in capturing selfies during the holiday period—a time when most people will let their hairs down and have lots of fun at different events. 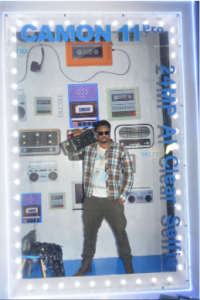 PAY ATTENTION ➔ ‘BACK TO THE ’90s’ WITH MTV AND TECNO MOBILE .